Brace yourselves guys because it’s another emotional episode. Our friends at Star Labs are trying to come to terms with the events of the previous week. Who can blame them? I mean I am too! Everytime there was a flash of Ralph’s face this episode I felt a lump in my throat – I don’t think I’m ever going to get over it! Barry is putting on a brave face though, claiming that he doesn’t have time to grieve. Harry especially is feeling the consequences of events last week. He finds out that he is loosing his intelligence due to the reaction of mixing dark matter with his thinking cap. Caitlin is struggling to let Killer Frost go and their exchanges through post it notes displayed on her walls are making it even harder. However, there might be a light at the end of the tunnel for her. DeVoe is wasting no time. Marlize can’t hide her complete joy that he’s back in his proper body and wants some quality time with him, but he makes it clear he has no interest in romance or anything that isn’t completing his plan. The threat of DeVoe getting his hands on the meta, Fallout, causes Barry and Cisco to vibe over to Earth X to ask an old friend for some help. 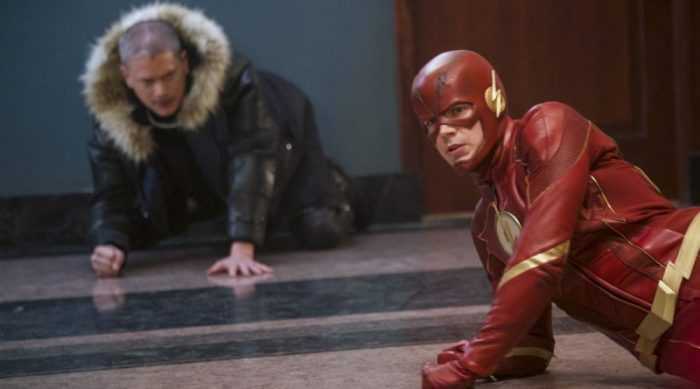 Wentworth Miller makes a special appearance this week as Leo Snart and it felt so nice to have him back on our screens. They find him mid-battle with Siren X and when they bring him back to Earth 1 with them, she isn’t far behind. They need Citizen Cold’s guns to help keep control of Fallout and he agrees to stay for 24 hours to them. He manages to lighten the mood for a while with news that he’s marrying The Ray. The team also call in some favours from Lyla Diggle and they are given a secret ARGUS hideout to stash Fallout. DeVoe sure enough catches them up and when he does Barry tries to use the sceptre on him. 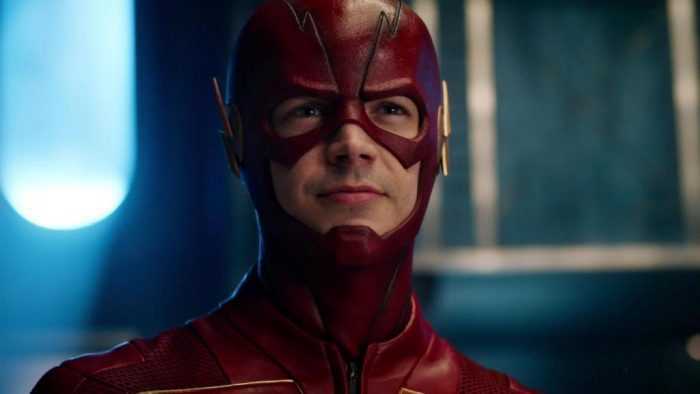 With his newly gained elongated meta powers, it doesn’t have any effect on DeVoe and when he morphs into Ralph, Barry goes to pieces. He sees Ralph die all over again and we hear the last interaction they had again …. “Ralph, I’ll save you – You already did, Barry”. That slashed my heart last week and it did again hearing it the second time round. Siren X arrives in time to stop DeVoe but she scarpers off with Fallout, Caitlin and Joe. Back in his layer, DeVoe is fuming that his plan didn’t happen and it’s all because Barry acted differently to how he had seen. Marlize points out for all his abilities he can’t work out something as simple as how someone is feeling. Barry has finally let his grief sink in and breaks down revealing that he completely blames himself for failing Ralph. Siren X threatens to blow up Fallout to destroy CCPD. Luckily his radiation triggers an alarm at Star Labs and the team show up. Barry channels his grief to stop her, Citizen Cold’s guns are used to cool Fallout down and all is safe. The episode ties up as DeVoe finds Fallout in an ultra secret ARGUS building and we see that Marlize is really struggling with the change in her husband. Yet another fab episode! I’m glad that a character like Ralph has been given such a touching tribute as his death is having a huge effect on his pals. At this point it looks like The Flash is never going to be able to stop The Thinker, but events unfolding this week still make me believe that Marlize is going to play a big part in his demise. ← Here’s the brand new Ant-Man and the Wasp trailer and poster!